Park Shin Hye International Fanclub | 박신혜 국제 팬클럽: Letter from Jimmy! Look what just came in the mail. It's a letter from our Jimmy! He's growing up beautifully. 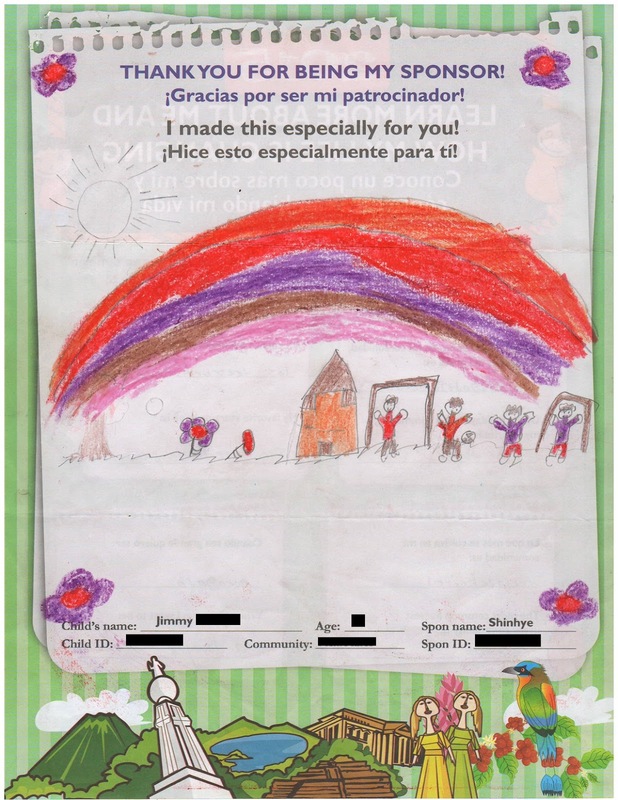 As you may have known, Jimmy is the child we are sponsoring from El Salvador. We are so happy that we can support him and his community. He's such a lovely boy. Shin Hye and her mom love him. We are so happy that we are able to keep supporting him. And it is all thanks to your donations! You can help us help Jimmy by donating to our Christmas fundraiser. Every year, we always save money from our Christmas and birthday fundraisers to help us give support to Jimmy. We hope we can do so again this year.